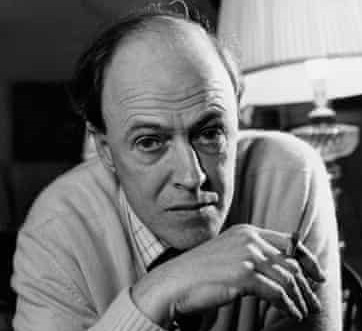 Plans to celebrate the life of Roald Dahl with a commemorative coin were rejected because of concerns about the author’s antisemitic views, it can be revealed. I like Roald Dahl's output. "Nonpareil" might be a word for those works. Imaginative, quirky, and lying in some hidden valley between fairy tale and real life. But my teeth itch when someone starts running the "anti-Semitic" schtick. No where have I seen the word defined or delineated. It just seems to morph from person to person with little or no recourse to a meaning other than the speaker's preference. The phrase "lack of generosity towards non-Jews" hits a mark for me. Not one quibble about Judaism -- and by extension Israel -- is allowed without arousing the door-slammer, "anti-Semitism." Why? Why is there no agreed-upon definition that would allow for some reasonable discourse? Is it anti-Semitic to ask why Israel feels no compunction about using live ammunition when facing down Palestinian protesters wielding stones and knives? Even the most lawless American police force can do better than that. When it comes to Judaism, too often there seems to be a presumption of righteousness -- no need to explain or define ... our cause is just and long-suffering and woe betide the anti-Semite who questions or even inspects the particulars. What, specifically, constitutes anti-Semitism? Will someone define it clearly? Why is it not anti-Semitism when Israel dispossesses Arabs who might prefer to remain in their homes or villages? No, never mind my particulars, just lay out a clear definition ... with positive and negative aspects duly noted. Roald Dahl is a hell of a writer who, for my money, deserves kudos, even if he doesn't need them. It is conceivable to me that he is an anti-Semite, though not in the raucous-disparagement-sense that hangs from the word when used by an American. Good and (maybe) bad -- is there any person or subject that does not contain both and that cannot be leavened by a decent definition of any and all aspects of the discussion? A "one-sided discussion" is an oxymoron ... and moronic into the bargain. I doubt you can paint them all with one brush. Like the rest of us, they have trouble getting along with one another. And maybe they all take a hit earned by a few. None of the login options work for blogger now unless you open it with chrome on my mac. And i generally don't like chrome. It first came into the world as sleek and faster than the other browsers, but it's now incredible bloated and sluggish. Google sure lost the "Do no Harm." plot. Charlie -- I too was flummoxed by Google Chrome and recently called an internet fixer to take it off my machine. Other than that, I don't know what to say that might ameliorate from this end. With respect to internet surfing and blogging, always be prepared to jump ship. It’s bleeping annoying but necesssary and important.